Huntsville Vegans is hosting another free monthly movie night/food sharing on Thursday, November 8th, with a screening of PlanEat (2010). Our monthly movie nights take place on the second Thursday of each month at the Huntsville Public Library (in the auditorium on the ground floor) in Downtown Huntsville. Doors open at six, and we’ll start the movie itself around 6:30. “PLANEAT is the story of three men’s life-long search for a diet, which is good for our health, good for the environment and good for the future of the planet. 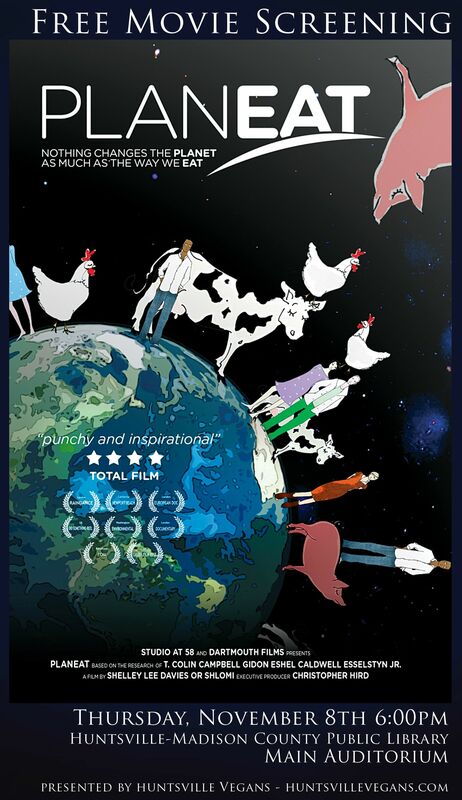 With an additional cast of pioneering chefs and some of the best cooking you have ever seen, the scientists and doctors in the film present a convincing case for the West to re-examine its love affair with meat and dairy. 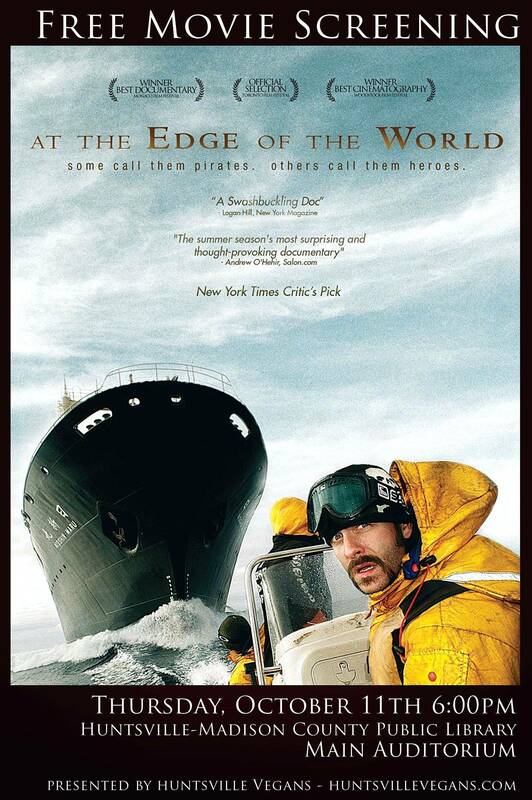 The film features the ground-breaking work of Dr. T Colin Campbell in China exploring the link between diet and disease, Dr. Caldwell Esselstyn’s use of diet to treat heart disease patients, and Professor Gidon Eshel’s investigations into how our food choices contribute to global warming, land use and oceanic deadzones. Mini-Potluck at movie screening ! The movie night for Thursday, October 11th, has been cancelled. We apologize for any inconvenience and hope to see you next month at movie night when we watch PlanEat.